After making an appointment with Polly, please print, sign, and bring our release form, (located here) with you for your test ride! Key has such a great personality and is easy on the eyes too. He's a nice-looking horse with a sweet personality, the perfect gentleman! Key goes walk, trot in the ring and is fabulous on the trail. His canter is a bit unbalanced at the moment, but it is coming along nicely. He gets both leads, but the left is a little tougher for him. 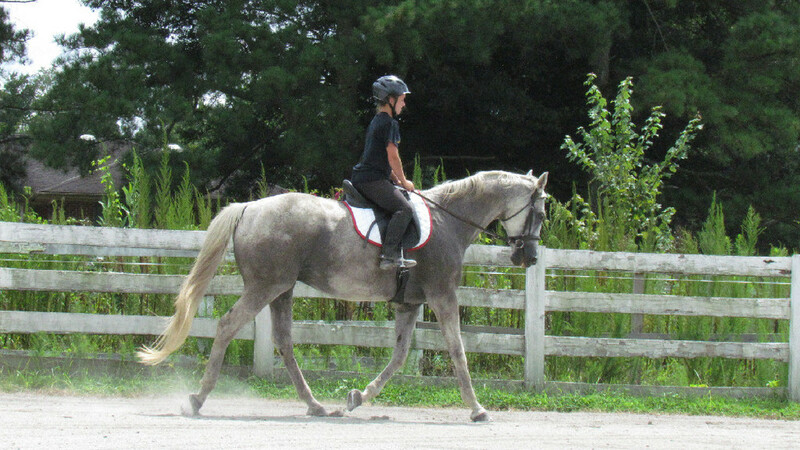 Key would be best suited for an intermediate rider since his canter can be a bit quick and unbalanced at times. Cole's Posse is just starting her training again but has a good attitude. She's a big girl but has nice manners, still green but willing to learn and to please. She's flashy, too--check out those white socks and pretty head! She does have an old injury that should limit her to light jumping. located in Fluvanna County, Virginia--please contact Polly Bance. 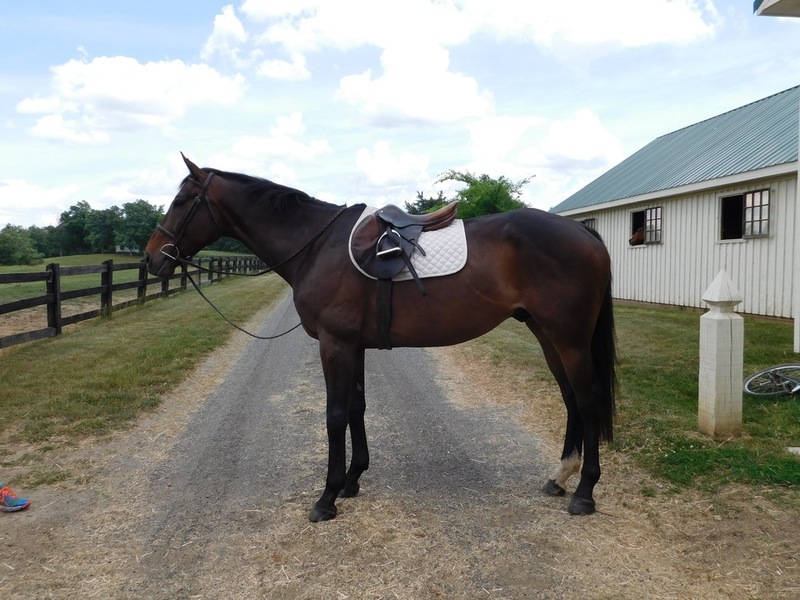 6 year old 16.3 hand Thoroughbred gelding for adoption. Rock is big, sweet boy who would love to be someone's pet. He has a solid training base and is great in the ring and on trails. Crosses creeks, ditches, and will jump small jumps. 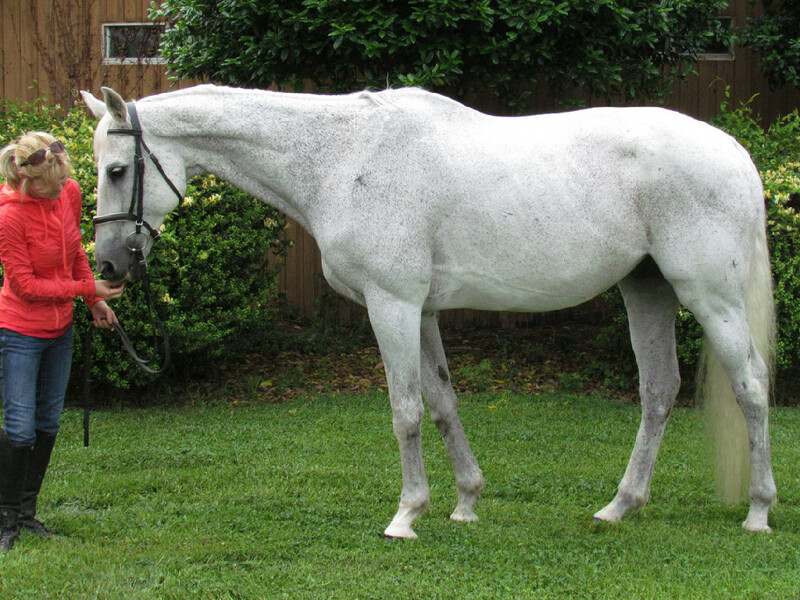 He is a naturally quiet, uncomplicated horse but is still green and is not for a beginner or weak rider. He will round up on the bit and has lead changes both directions. He has a big trot so is not for someone who has hip or knee problems. Large enough to carry a man.